This is our Aweber review. What is Aweber? Aweber is one of the best emailing marketing services on the market. Aweber helps you build your mailing list and perform mass mailing services. With Aweber autoresponder, you don't have to reply to each email and this is done automatically through email marketing service. Aweber is one of the best email marketing services on the web. 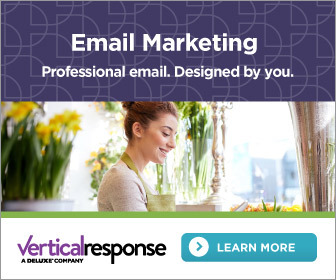 It's in a crowded market with MailChimp, Ontraport, and Vertical Response offering similar email marketing services. Aweber autoresponder makes them special. In addition, Aweber offers 700 mobile responsive email templates that you can choose to use or you can create your own modern and professional email newsletter to send to your mailing list. Aweber feature rich bulk mailing service is unique. They offer a drag and drop editor to simplify things for its users. In addition, they use a HTML templates, so you can easily create and send professional emails in a few minutes. The drag and drop editor is clutch when you're trying to create an automated email sequence. The automated email sequence can be applied to clicks, open emails, and Aweber autoresponder. Is it the best email marketing services on the market? Let's find out. Aweber email marketing service helps you automate your mass mailing services. The service helps you create drip campaigns for new subscribers, client orders, product launches, and more. For example, after a visitor signs up, you can schedule 4 or 5 welcome emails to explaining your services, blog posts, and products you offer. It helps build trust and warm up new subscribers for sales. In addition, you can tag subscribers based on their actions. This is extremely useful because you can see what interests them. If you know want interests your readers, you can better target sales. Aweber integrates with over 200 applications and services. 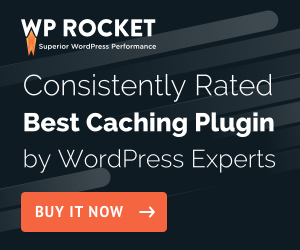 This will help you build powerful workflows to attract subscribers and send effective emails that will grow your business. There's no additional fees for their automation platform. Lastly, they offer free training and ongoing education for all Aweber users. It's definitely a reason to name them the best email marketing services in the market. Aweber email mailing service comes with 700+ mobile responsive templates. It helps you save time with your mailing list. You can just pick the template and add a little custom touch then you're done. However, you can also create your own custom email template to fit with your personal brand. The options are endless. With Aweber, you can add an RSS feed to your newsletter with a simple drag and drop. There's no complex coding or coding background with Aweber email marketing service. They really make it simple to use, so you can hit the ground running. There are some really confusing mass email services in the market. I think Aweber's simplicity makes them the best email marketing services just for simplicity's sake. Aweber Autoresponder is a blessing for email marketing service. It really saves a lot of time. Also, it keeps your subscribers engage with your service and content. It's extremely useful if you're giving a free handbook for signup. Once a subscriber confirms, they'll automatically be sent the handbook. There's no need to manually respond or write "thank you" emails. It's something that's included with all the best email marketing services in the industry. With Aweber, you can specify when to respond or send follow up emails. This is key because you don't want to send a bunch of emails then have them unsubscribe. I've signed up with a few newsletter then I get bombarded with emails everyday. After the 3rd day, I always unsubscribe. It's really annoying when people don't understand the concept of moderation. Anyway, Aweber Autoresponder eliminates this issue with its auto-scheduling feature. Aweber email marketing service subscriber management is simple to use. You can easily track each subscriber's action, unsubscribers, new subscribers, how much each subscriber is buying, and more. Aweber displays simple analytics metrics for people to understand. I think a lot of us appreciate simple graphs cause we're not numbers people. In addition, you can also group your subscribers based on their actions. This will help you target your emails better and in turn increase sales from them. There's not many mailing list service that can do things like this. It's extremely helpful in understanding your readers. For example, you can send food products to people who enjoy reading about your recipes. Send travel deals to people who click on travel tips. The possibilities are endless. Could we consider them one of the best email marketing services yet? Aweber makes building your mailing list easy. They provide simple and minimalist sign up forms. It's not too outlandish where it looks tacky. They have simple forms that look clean. In addition, the email marketing service provides easy to build forms, so you can create a sign up that matches your branding. You can use one of their pre-made templates too. In addition, Aweber can be integrated with Facebook and Wordpress website. What's even more great is that Aweber will host your directory if don't have a website. 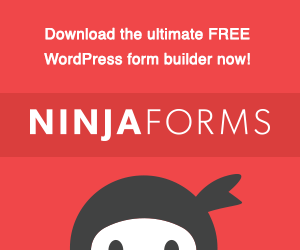 The forms come in various options like popup, slide in, fade in, inline with blog posts, and more. All you have to do is choose which one suits your vision best. Aweber has a mobile app where you can monitor your mailing list. In addition, you can watch educational courses within the app and view analytics by subscriber. It helps builds your knowledge about how to better use their service and target your subscribers with better emails. It's an amazing option to have when you're not a near a computer. It's a major advantage over other email marketing service. In the marketing world, analytics is key to success. You have to understand what works and what doesn't so you don't waste time and money. It's critical for a successful business. Aweber knows this and this is why they provide simple metrics for its users. They provide ways to create and track emails to boost your website traffic. In addition, you can send emails with products to increase revenue. They track everything from open rates to sales with a few clicks. It's definitely useful when you have a large mailing list and you're looking for the best email marketing services on the internet.